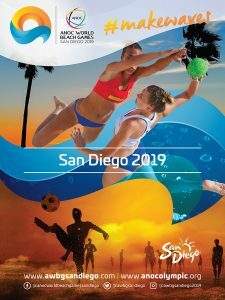 I have been working as the in-house designer for the Association of National Olympic Committees – World Beach Games San Diego 2019 for more than two years now. 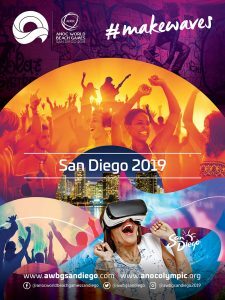 Our most innovative recent project was the Augmented Reality Posters that are activated using the Spark Compass App. 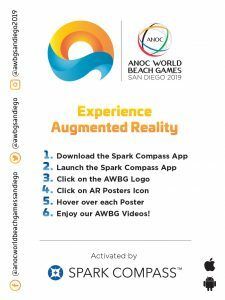 To experience this technology in action, download the Spark Compass App and enter awbg in the code section, hover over the images below and be amazed! 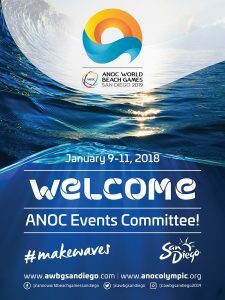 The Association of National Olympic Committees (ANOC), with the endorsement of the International Olympic Committees (IOC), has created a global, multi-sport event blending the perfect synergy of elite sports and beach culture to captivate the 1.8 billion millennial and Generation Z demographics. 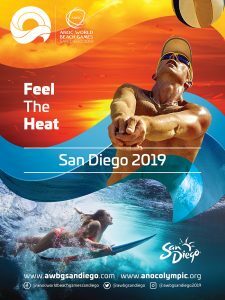 The ANOC World Beach Games will take place October 10 – 15, 2019, bringing 2000 of the top global athletes from the most exhilarating beach, water and action sports, to compete in 17 disciplines in front of hundreds of thousands of spectators. 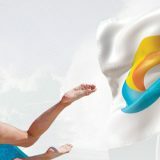 The AWBG will serve as world championships and feature the highest-level competition with top qualifying teams from the 206 ANOC member countries. 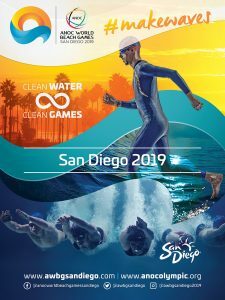 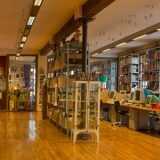 This unique global platform will capture the imagination of young people around the world by harmoniously integrating international sports competition, technology, cultural festivals and music, with a commitment to be the cleanest games through the “Clean Water Clean Games” cause campaign.